Intelligent design and luxury features of the Audi Q7 provide an exceptional level of comfort and assurance, delivering a better travel experience than you’ve ever imagined. A sophisticated array of technology creates a safer drive, with assistance systems for every aspect of your journey. It’s no surprise the Audi Q7 has been rated as the best and the coveted SUV of all time. The bold exterior of the Q7 exudes a confident presence only possible from a luxury SUV. Emphasised by clearly defined surfaces and taut lines, the body of the Q7 is athletic, timeless, and unique. 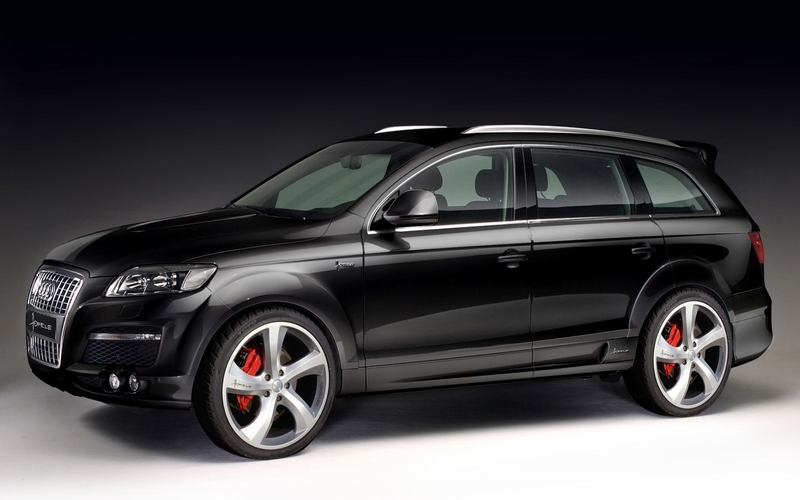 The wheel arches are flanked by striking side-blades embossed with the quattro logo. A wraparound electrically operated tailgate has been engineered for convenient loading and unloading of cargo. Spaciousness and sophistication are unsurpassed in the Q7, which comfortably accommodates up to 7 passengers. At the touch of a button, the third row seats can be folded down individually to create an even more generous luggage compartment – so that nothing is left behind. We must say, the new Audi Q7 has limitless possibilities.